We offer innovative power solution, the result of which should be optimization of the present costs of the enterprise in terms of power consumption. Our specialists will propose an effective, comprehensive energy supply program for your company using the latest global technologies. MAPU streamlines and improves the energy effectiveness and security of companies. Under our specialized business, we offer performance of an inspection of the existing energy model of the plant. As part of join consulting works, we analyse the method of supplying the plant power, heat and hot water, and define the present energy efficiency of the system. Then, our specialists propose an effective and comprehensive program for supplying the company with energy, with the use of state-of-art technologies. The effect of the performed audit will be a quotation containing innovative power solutions, the result of which should be optimization of the present costs of the enterprise in terms of power consumption. Graduated from the AGH University of Science and Technology in Kraków, Faculty of Technology and Mechanization of Foundry Engineering (master’s degree) and postgraduate studies in the field of organization, economics and industrial management at the Gdańsk University of Technology, also MBA – INSEAD in Fontainebleau (France) and many other international training programs in the field of international business corporation management. He started his professional career in 1977 at the Zamech Mechanical Works in Elbląg, PL. 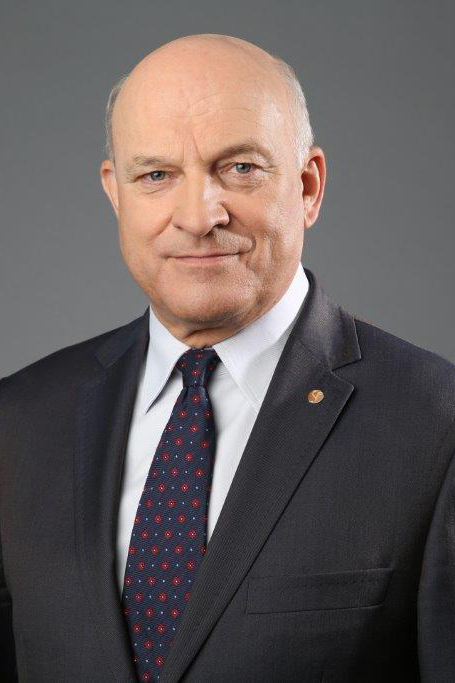 From 1990–1996 he was President of the Management Board and CEO of ABB Zamech Ltd in Elbląg and in the years 1995-1996 also held the position of Vice President and Chief of the Energy Segment in ABB Poland. Then, in 1996-1999 he was employed at the ABB’s head office in Zürich as Vice President for Central and Eastern Europe. In 1999-2000 he served as Vice President and Deputy CEO in Grupa Kęty SA, PL. Since 2001, he managed his own consulting company: Paweł Olechnowicz Consulting. 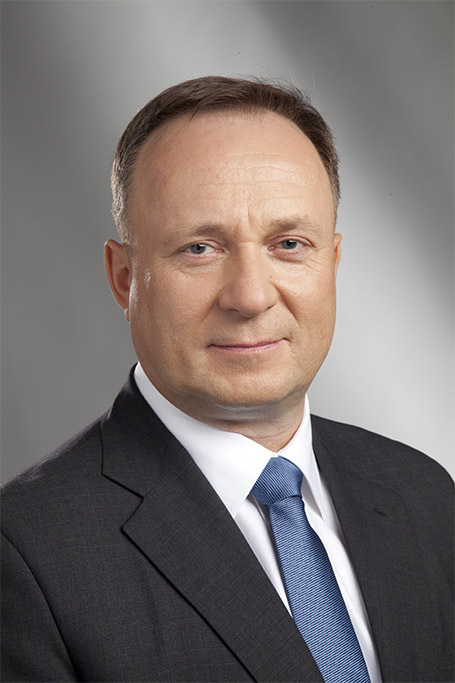 From 12th of March 2002 he has been in charge as President of the Management Board and CEO of the Rafineria Gdańska SA, PL then Grupa LOTOS SA, which he held until April 2016.
programming and implementation of one of the largest industrial investments in Poland and Central Europe - the Program 10+ worth PLN 5,6 billion. The implementation of this programme had a significant impact on the development of the economy of Pomerania and Poland. Corporate Social Responsibility defines fundamental values in the philosophy of functioning and development of a company. Therefore, there is a lot of significant involvement in the companies managed by him in non-business activities, such as supporting sport, culture, education and science. Furthermore, he actively participates in the promotion of social and economic initiatives undertaken jointly with local authorities and the scientific community. Longstanding President and Member of the Management Board of the Polish Higher Education – Business Forum, an association that builds cooperation between the academic and business communities. Founder and Chairman of the Board of Directors, Central Europe Energy Partners (CEEP 2010-1016). An international public benefit association based in Brussels, representing the Central European energy sector in the broad sense. The main objective of the organisation is to support the integration of the Central European energy sector into the common energy policy and the energy security of the European Union. In 2011, he was awarded the Officer's Cross of the Order of Polonia Restituta for outstanding merits in the development of the national economy and for his professional achievements. Owner „Biuro Doradztwa Ekonomicznego i Prawnego – Business Consultants” Sp. z o.o. Graduated from the Faculty of Mechanics and Technology of the Gdańsk University of Technology, the Investment and Real Estate of the Faculty of Management of the University of Gdańsk and postgraduate studies of MBA at the University of Gdańsk. Participant of numerous trainings in management, marketing, trade and communication in Poland and abroad. 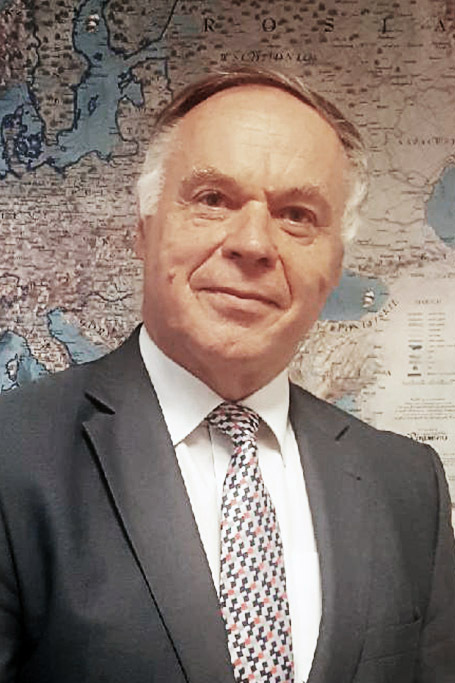 He began his professional experience at ZAMECH Mechanical Works in Elbląg in 1986 and since 1990 he had held many different positions as manager at ABB Zamech Ltd and at other subsidiaries of international company ABB in the areas of investment, sales, marketing and project execution. From 2005-2012, he worked as President of the Management Board and CEO of LOTOS Serwis Sp. z o.o. and from 2012-2017 as President of the Management Board of LOTOS Asfalt Sp. z o. o. At the same time from September 2015 to June 2016, Chief Operating Officer of Grupa LOTOS S.A. responsible for crude oil processing and maintenance of the Gdańsk refinery. implementation of many programs: effective, optimizing, commercial, stimulating competitiveness and innovativeness of the organization, etc. Manager by profession and vocation with the ability to communicate with all stakeholders of the organization. Active innovator and integrator of process and project oriented organization. The turbines will be also adapted to operate in cogeneration (production of electricity and heat) and trigeneration systems (production of electricity, heat and cooling) and adopted to be used of various fuels (liquid and gaseous fuel as well as coal, wood, biogas, pellets, rubbish, waste, etc.). design and construction of turbine sets with water turbines of various types.